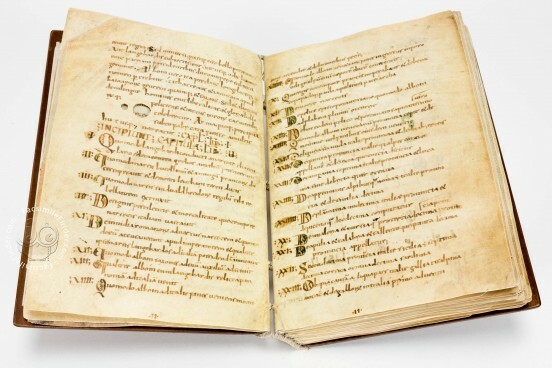 A 9th century manuscript containing one of the oldest surviving copies of the Historia Langobardorum written by Paul the Deacon (circa 720s-799), the codex dates back to only a few decades after the text was written. The Historia Langobardoum is the most important work written by Paul the Deacon, a Lombard monk from Cividale del Friuli, who lived at Charlemagne’s court and was particularly active at Montecassino Abbey. The text is a mixture of tales from the mythical origins of the Lombard people to the death of King Liutprand in 743. The narrative is also full of details about the Byzantine Empire, the Frankish people and the Papal State. The narrator’s point of view is that of a Lombard patriot: the text is thus extremely important as it explains the links and relations between the Frankish kingdom and that of the Lombards. The Historia Langobardoum, a vivid narrative of the history of the Lombard people, written in a somehow epic manner, is the main source for the history of those turbulent years. 115 copies of the now lost original still exist. One of the oldest and most complete ones is the Codice Cividalese (Cod. XXVIII) preserved at the Museo Archeologico Nazionale of Cividale del Friuli, the historian’s birthplace. 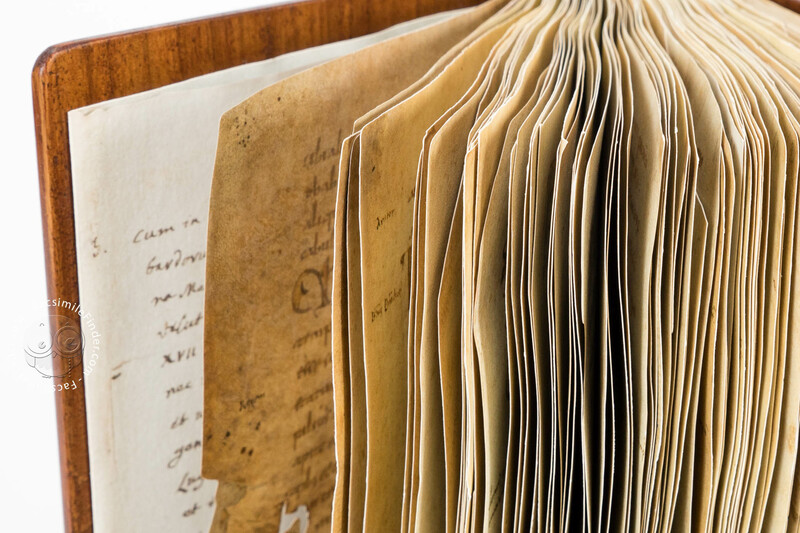 Though extremely incomplete, since it only contains parts of books II and V, the oldest copy of the Historia is that preserved in the so-called Palimpsest of Assisi. 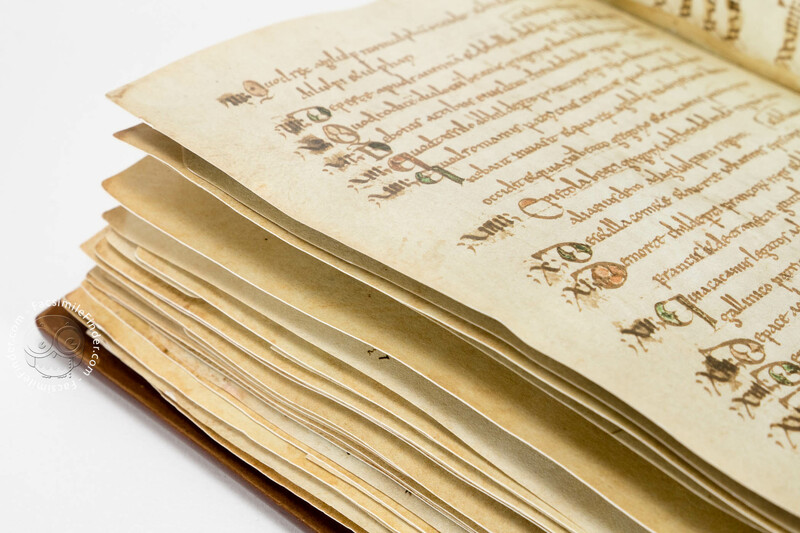 The script in which a single scribe has written the text of the Paul the Deacon’s Historia Langobardorum preserved in this codex is one of the most fascinating features of the manuscript. 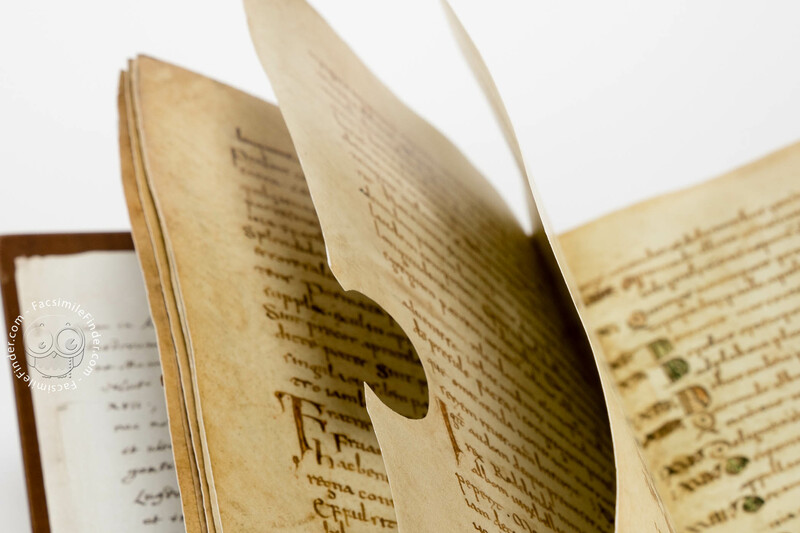 As a matter of fact, the script includes elements from the so-called Early-Medieval scripts, but also features of caroline minuscule. During the 9th century the latter was employed in different areas of the Sacred Roman Empire, and was the answer to the cultural and graphical unification prompted in general by Charlemagne. However, the peculiarity of the Historia Langobardorum’s script is that in it, the ‘mix’ isn’t fortuitous at all: the scribe operates a conscious and coherent selection from the pre-caroline repertoire, but also uses features of the caroline canon and other that are more difficult to define. The manuscript decoration consists of simple initials penned by the scribe during his work, which were subsequently coloured red or green. These initials can be likened to those in the uncial alphabet; some of them, however, can take up a variety of forms, some of which are closer to the capital alphabet. 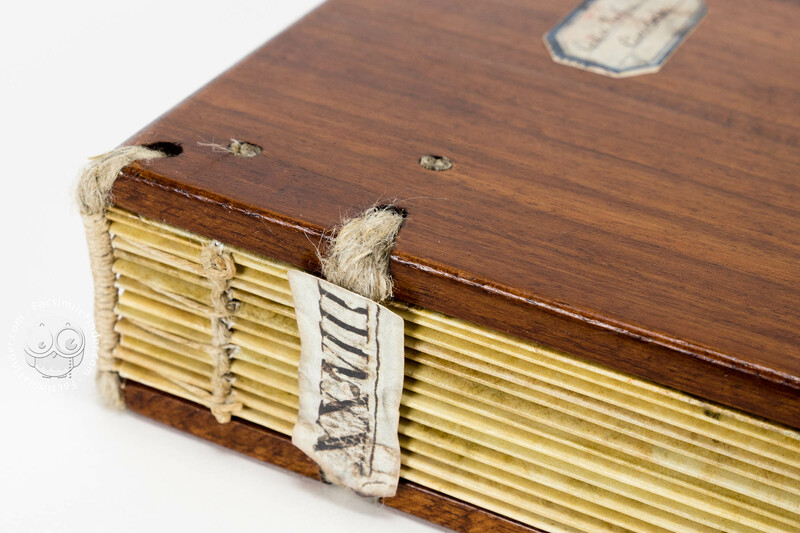 The 15th century binding is with ‘bare boards’. 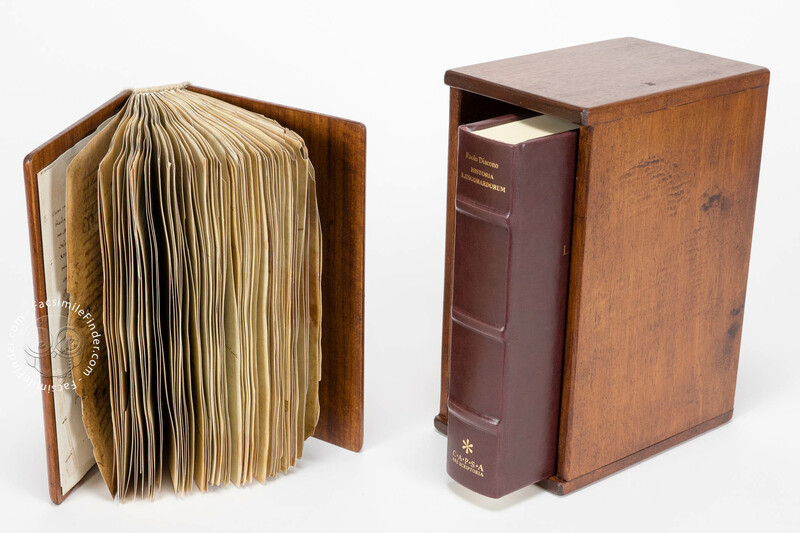 The half binding the manuscript once featured is now lost. 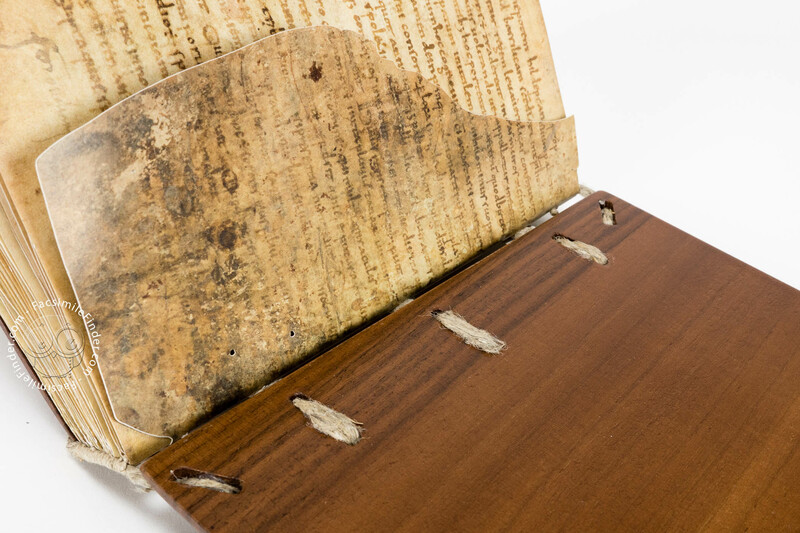 This allows the reader to understand how the quires were assembled and the means by which they were protected from wear and tear. The nut-tree boards are 4mm thick. The quires are bound by three double bands. The latter are made up of a small twisted piece of string as was customary in medieval times. 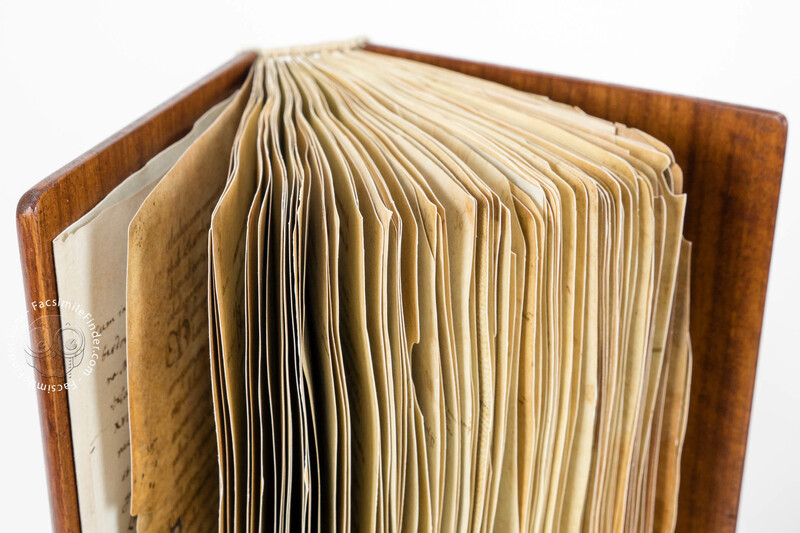 Manuscript book on parchment − 21.3 × 15.2 cm − 192 pp. Caroline minuscule; pre-caroline scripts, sometimes similar to uncial. 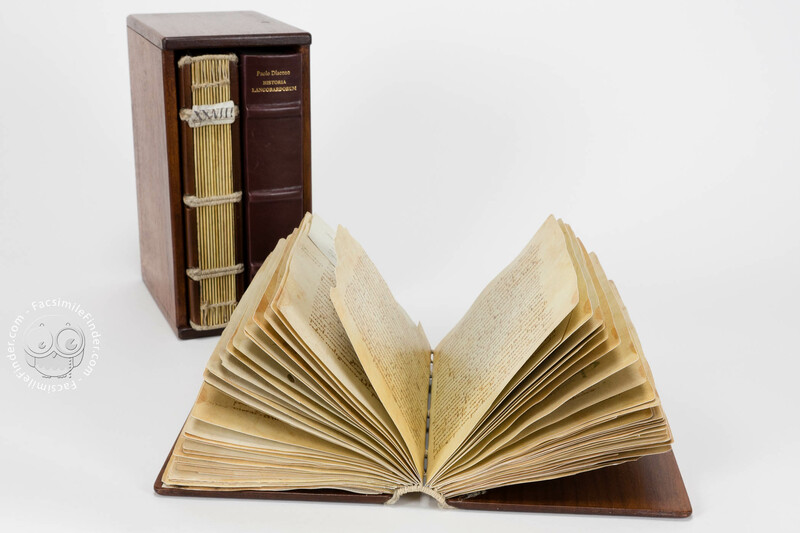 Full-size color reproduction of the entire original document, Historia Langobardorum: the facsimile attempts to replicate the look-and-feel and physical features of the original document; pages are trimmed according to the original format; the binding might not be consistent with the current document binding. 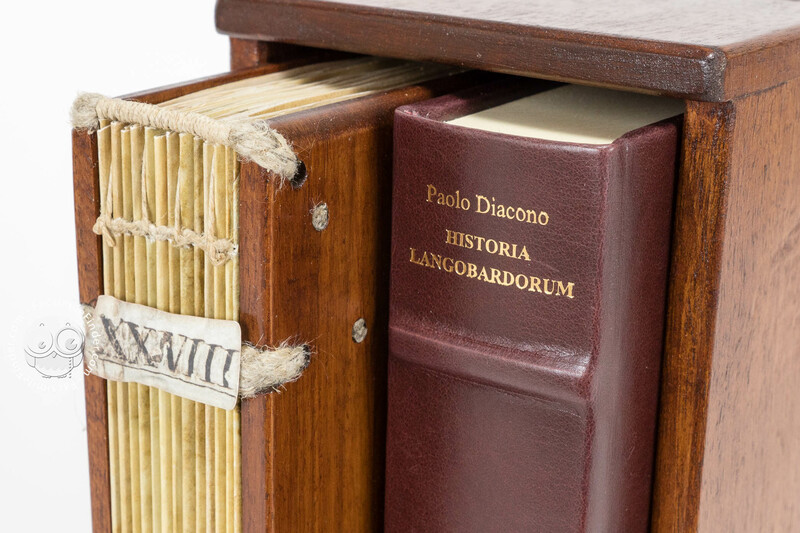 The commentary volume to this facsimile edition (700 pages) contains the full transcription of the manuscript and rich scholarly essays on the Historia Langobardorum. 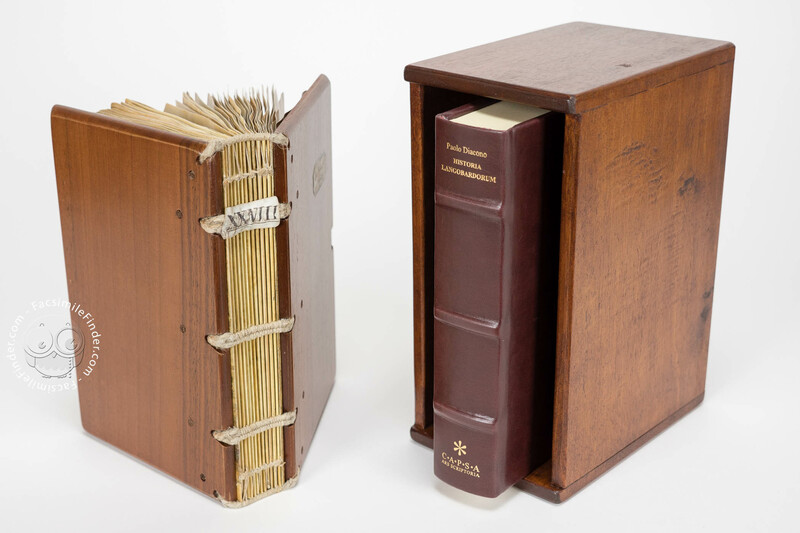 Exact replica of the current 15th century binding of the original manuscript, with walnut (Juglans regia) solid plates.